The Travis Central Appraisal District has released the data on 2016 property tax appraisals. As you can see from the map below, some of the most worrisome geographic areas in terms of gentrification are being clobbered again. 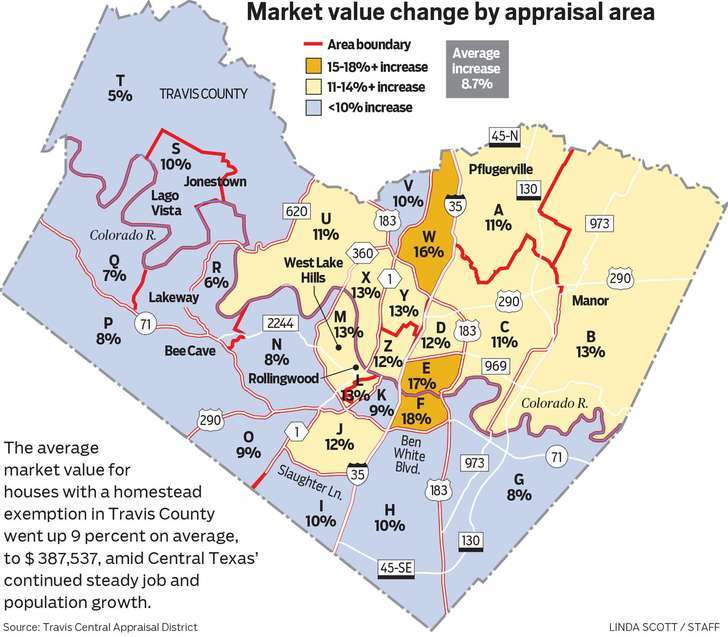 Look at the dark-colored areas marked W, E and F and note that these Northeast and East Austin neighborhoods are seeing 16%, 17% and 18% appraisal increases. Beyond that, the map is dotted with other assorted double-digit increases. Click the map to enlarge it. As mentioned in my previous blog posting, I have launched a comprehensive set of ideas for the City and the County to consider. The Homeowner Retention Initiative lays out a range of options to help make home ownership more affordable for both longterm residents and first-time homebuyers. The main focus however, is on our longterm residents who are consistently being priced out of their neighborhoods. The cost squeeze affects both low income and middle class homeowners and renters. So far in my discussions with City Council offices, the response has been very welcoming and encouraging. The issues are very complex and challenging. But I believe strongly that now is the time for a meeting of the minds, within both public and private civic quarters to attack and solve this critical affordability problem. In the ongoing discussions of the initiative with City Council staff, some interesting perspectives have been raised. I would like to thank Ken Craig in Council Member Ann Kitchen’s office for suggesting that landlords could participate in some of the programs, and thereby be able to offer more affordable rents. When I met with Ashley Richardson in Council Member Renteria’s office, I was impressed with the stack of printed reports that she was prepared to study. And Michael Searle In Council Member Troxclair’s office, along with the other two policy aides, dug into the discussion with lots of detailed questions and insights. Because of some of the complexities, there will be tall mountains to climb. And we may not be able to surmount all of them. But if we can plow through some of the obstacles and achieve a measure of success, then it will have been worth the effort. On Wednesday of this week at 2:00, the initiative will be presented to the City’s Housing and Community Development Committee. We should not blame TCAD for the high appraisal increases. The year-after-year “clobbering” of the taxpayers is caused by the boom in Austin’s economy. Along with planning and zoning decisions. Even more importantly, the Texas Legislature maintains a steadfast insistence on relying more heavily on local property taxes to fund public services than any other large state in the country. 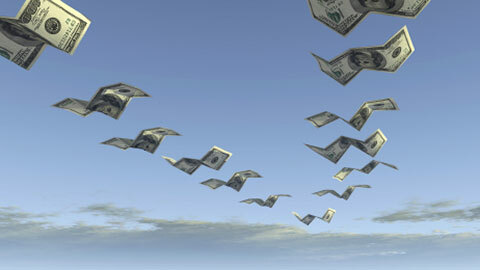 I often hear people say, “Oh but this issue of skyrocketing property values is nothing new. California went through all that back in the 70’s and 80’s.” Well, here’s the big difference. Even back in those days, California paid its workers a living wage. And not only that, California voters passed Proposition 13, which froze taxable values at the purchase price of a home. Only after that home went back on the market did it gain a new taxable “market value.” It was an imperfect and controversial solution. But at least California had some kind of solution, along with much better salaries and wages. Where is all the new revenue from all of that new “tax base” going? How much new tax money is being generated each year? And why in the world are they spending it as fast as they can? If anyone reading this can answer those questions, please drop a comment into this blog post! (And I haven’t given up on asking the City and the County for an itemized list of all of their “plans,” with a grand total of the costs and a public participation process to prioritize all of those plans). This entry was posted in General Affordability Updates and tagged Austin, Austin affordability, Austin City Council, Austin tax appraisals, Travis County tax appraisals on April 12, 2016 by Bill Oakey. Because that’s what government does by nature. They also spend it faster than they can. There is no limit. Hope this helps.